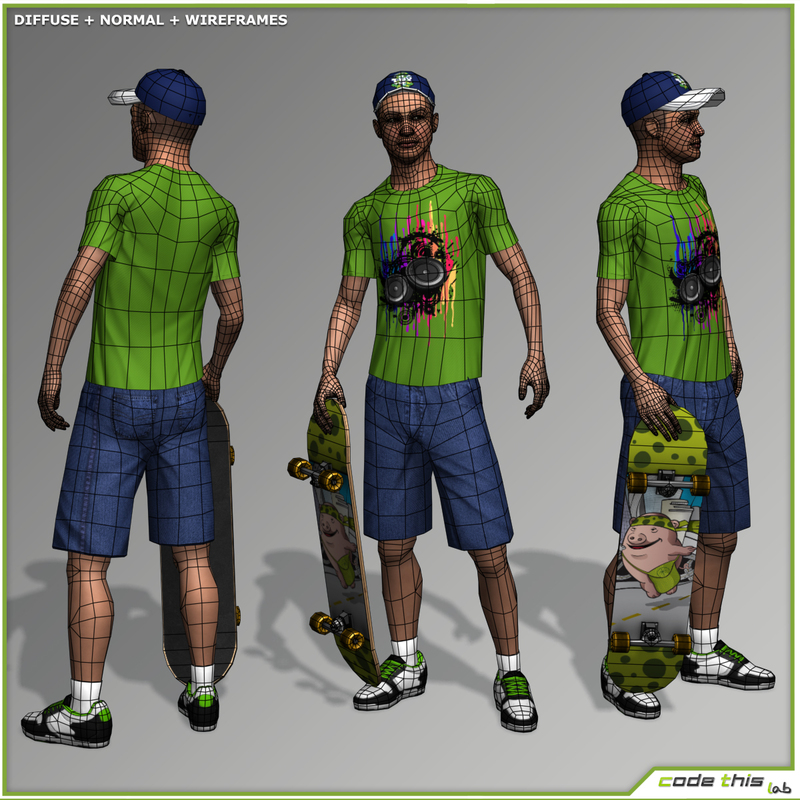 This model was realized using 3D Studio Max (version 2014) and default scanline rendering engine, so it is optimized for working in this environment. 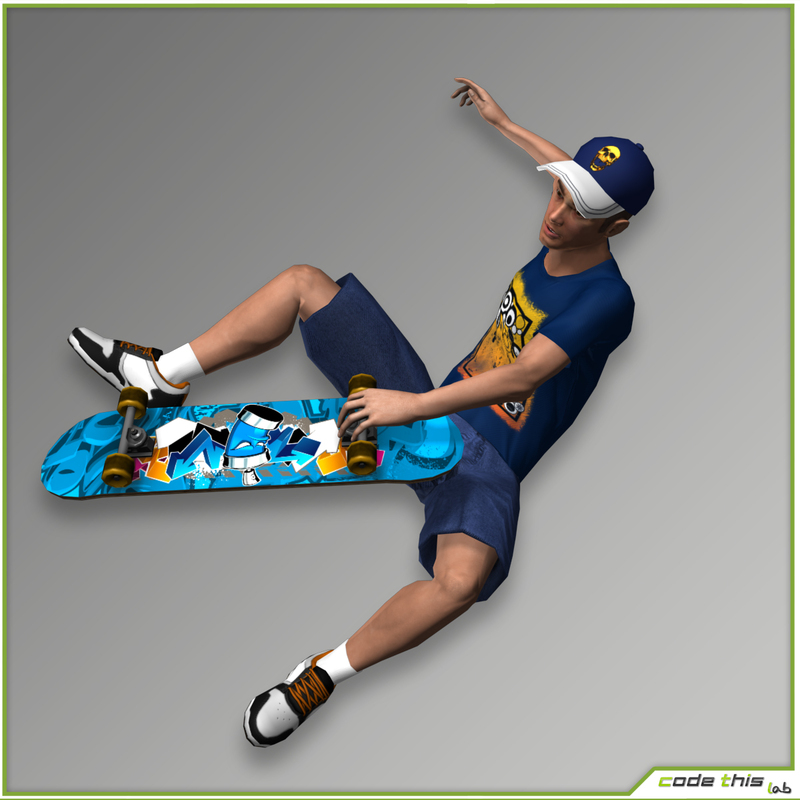 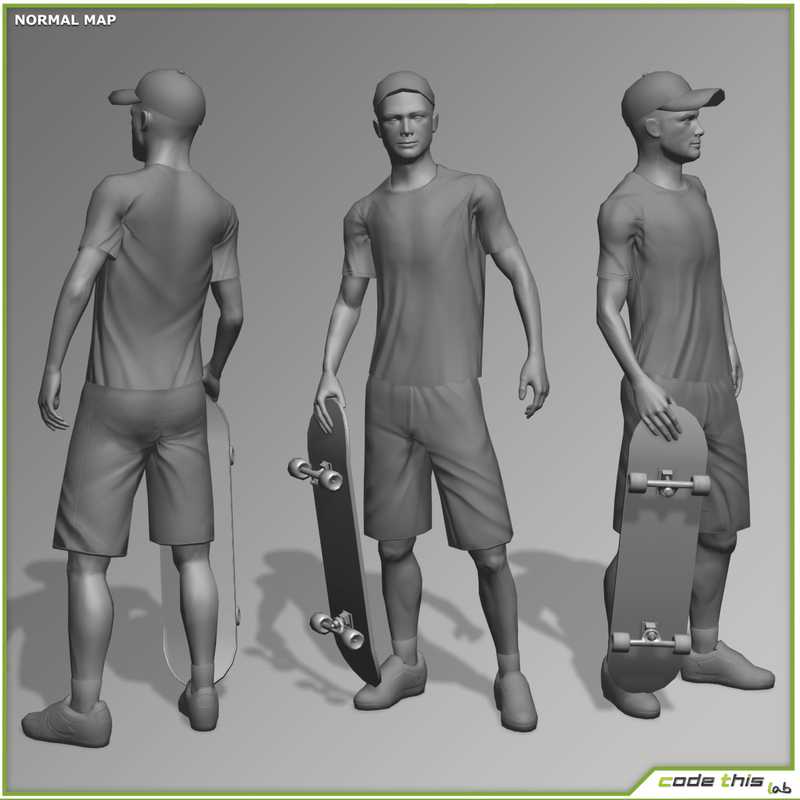 The skateboard is separated from the character, because it should be managed by your game scripting. 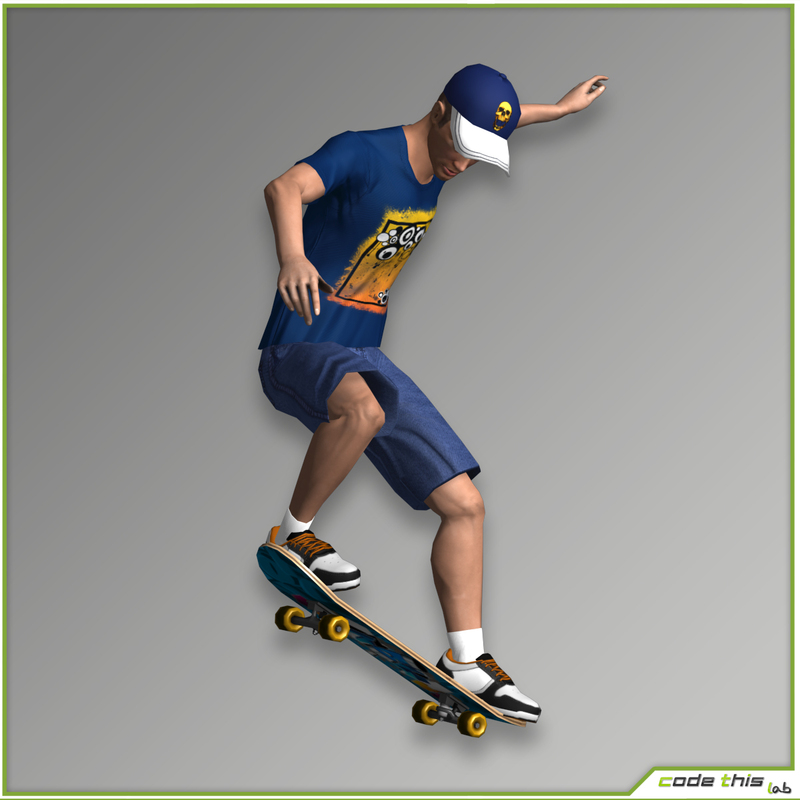 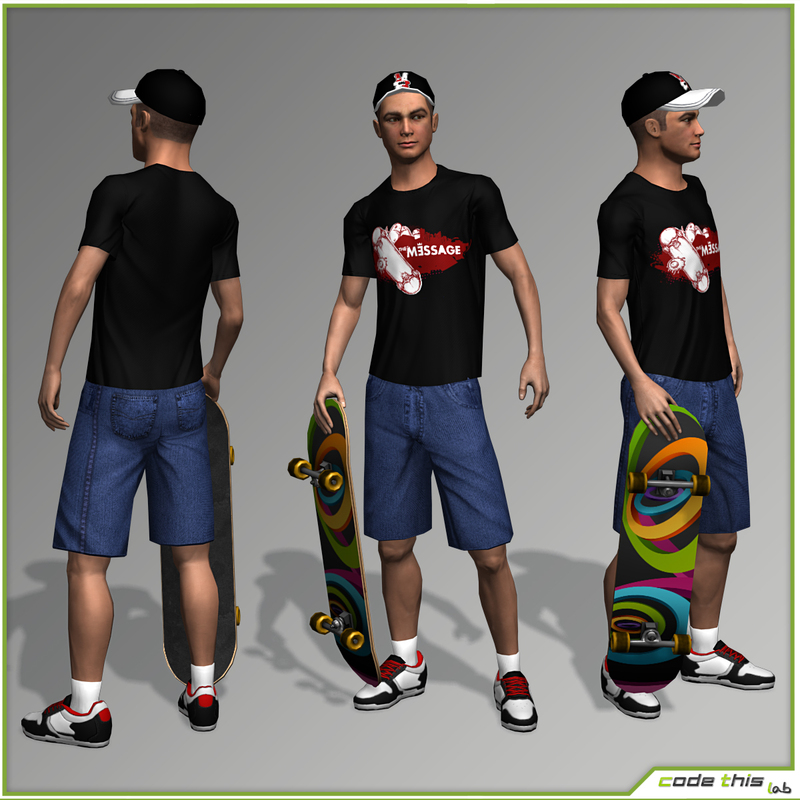 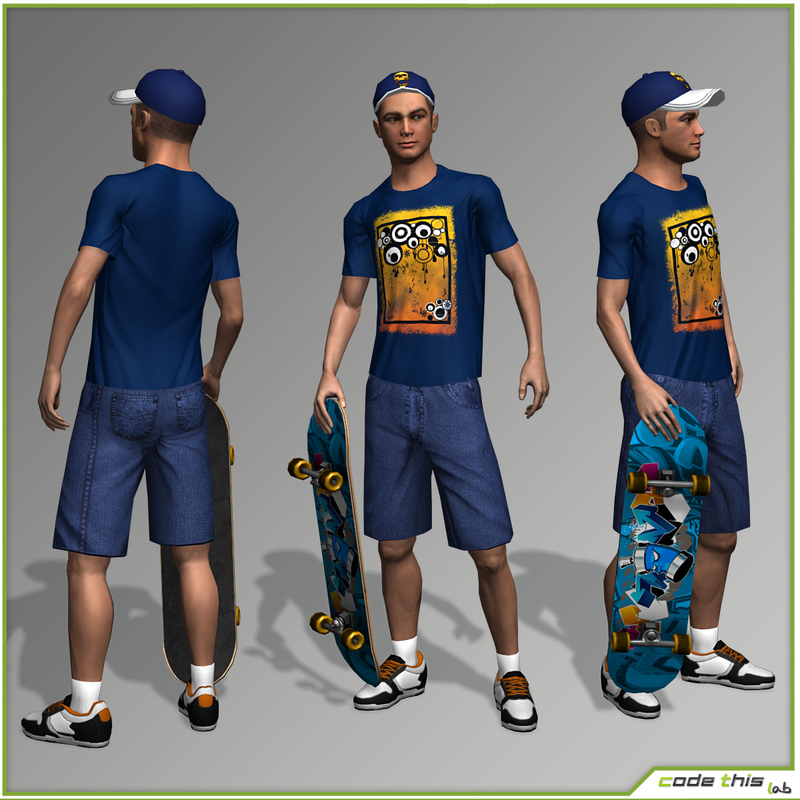 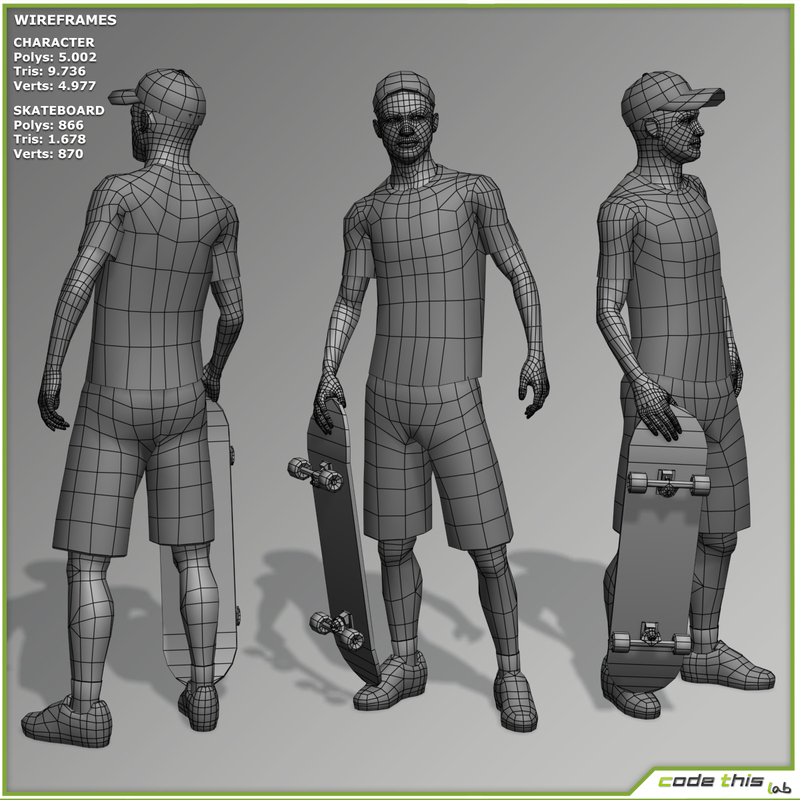 Fbx of the skateboard is included. 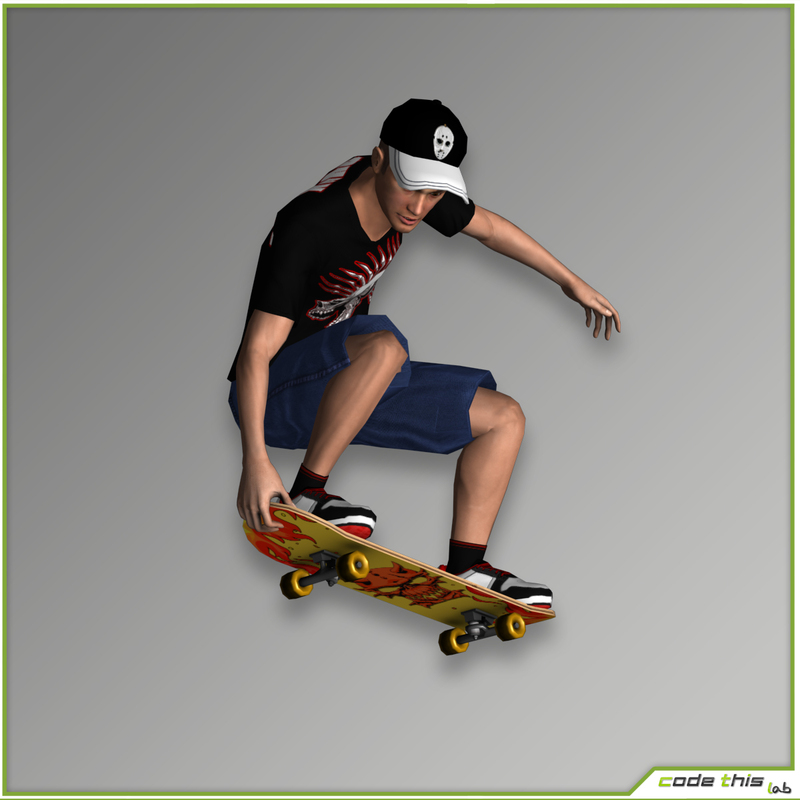 This is a high resolution realistic skater.